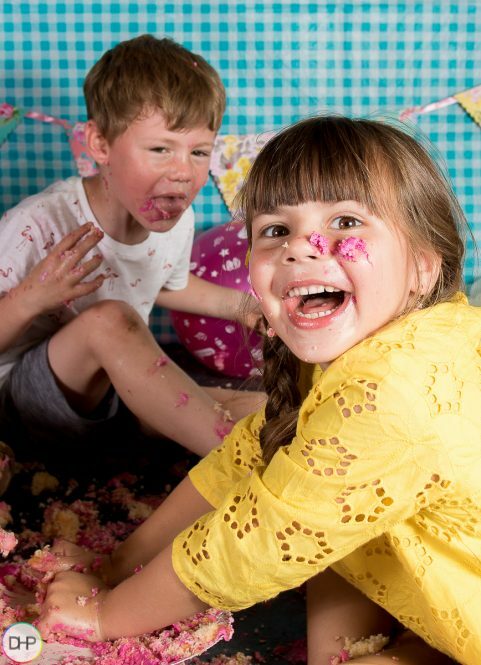 Traditionally a Cake Smash Photoshoot is usually for a childs 1st birthday……. I like to do things a little different! At Dave Hartley Photography a Cake Smash Photoshoot is available for all ages from the age of 1. This package is aimed for children, families and even adults. It doesnt even need to be a birthday, it could be just a fun treat. Basically it involves a cake and lots of mess breaking the cake up into a big mess as well as eating it if you want to. with children shoots there is not usually any posing, I just shoot away while your child is getting stuck into the cake. Older Children and Adults are welcome to include posed shots in the photoshoot.